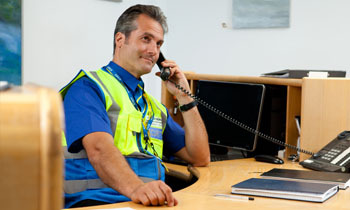 Our Front of House Security can blend seamlessly with your staff or stand out, be it for reassurance or as a deterrent. Experts in the design, installation and monitoring of wireless PIR Camera systems. 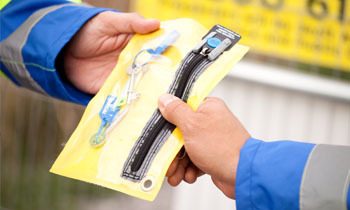 Key Holding and Response Service in accordance with British Standard 7984. 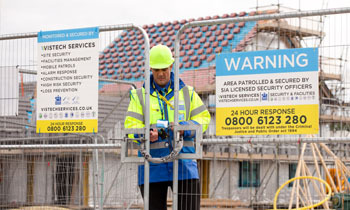 Security guards and wireless camera systems for construction sites across the UK. Accredited and certified by those who regulate our industry. Mobile patrols by SIA Licensed Security Officers providing a cost-effective, visible deterrent. Risk assessment, audits and reviews, strategic planning, design and project management. Recognised nationally for our customer focused approach and commitment to excellence. Vistech Services are an approved, regulated and reputable company. 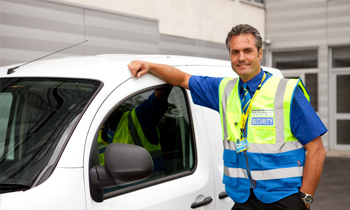 We provide professional and reliable security services from security guards to wireless camera systems to sites across the UK. Being one of the top SIA Approved Contractors in the UK, all our clients can rest assured that their security and facilities services are being provided by a professional accredited company. Operating in accordance to a number of British Standards we are audited regularly to ensure optimum service delivery. We are an SIA and SSAIB Approved Contractor and operate to ISO 9001 Quality Management System giving you full assurance that we deliver a compliant quality service. 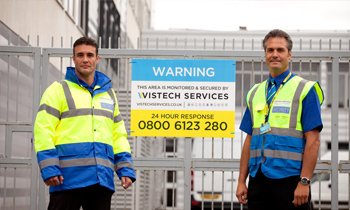 Vistech Services has been operating successfully for nearly a decade providing security and facilities management services to sites across the UK. Originally operating locally in Teesside, Vistech Services now operates nationally and is one of the most accredited fm service providers in the UK. We operate 24 hours a day 365 days a year for our clients to meet and exceed service expectations. We are dedicated to providing a range of professional integrated security and facilities management solutions to major contractors and companies throughout the UK.